At BHD Storage Solutions, we’re proud to provide warehouses and businesses across Australia with a wide range of storage solutions to meet varying operational requirements. 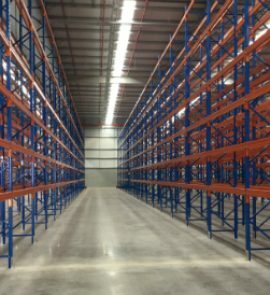 With storage systems ranging from vertical racking through to cantilever racking and shelving, we’re sure to have a solution that meets your needs. Mobile racking system – A high-density storage system for maximising storage space, ideal for general mobile storage in warehouses. 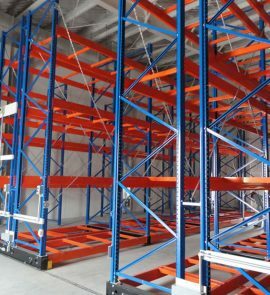 Advantages of our mobile racking systems include minimal usage of space, high storage efficiency, low failure rate and simplicity of operation. Shuttle racking system – A high-density pallet storage system that uses an electric pallet shuttle cart to make loading and unloading goods easy. Eliminating the need for forklifts, our shuttle racking systems are a quick and cost-effective option. They’re also a safer choice, as they can be loaded and unloaded via remote control without human assistance, reducing risky conditions and minimising accidents. 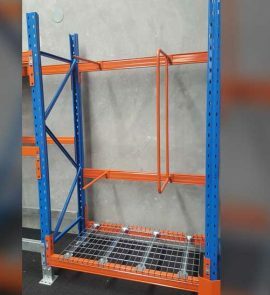 Cantilever racking and shelving system – A cost-effective option for storing goods that are bulky, long or irregularly shaped. Ideal for warehouses that are planning for business growth and change, our versatile cantilever racking solutions are made from the highest quality materials such as high grade steel. Pigeon hole rack – Ideal for varied length stock, a pigeon hole rack helps to simplify supply chain management and allows orders to be processed faster. We offer simple yet effective pigeon hole rack designs that can be easily adjusted to store different sized items. Our solutions are also able to be tailored to your specific requirements. 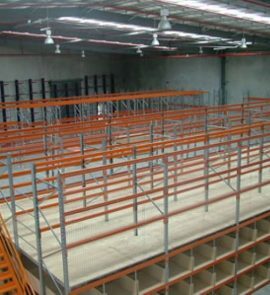 Mezzanine and platform – Allows for picking and storing on multiple levels, helping to optimise warehouse space and maximise storage. Advantages include the ability to pick and store on multi levels as well as increased density of storage and stock. 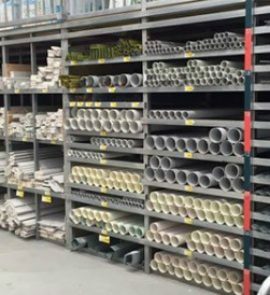 Vertical rack – An economical upright storage system that offers easy access to long-length stock such as timber, pipes and tubes. 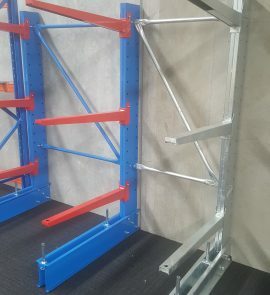 Our vertical rack solutions are perfect for long length products, helping to minimise damage and improve safety with the use of dividing mechanics. 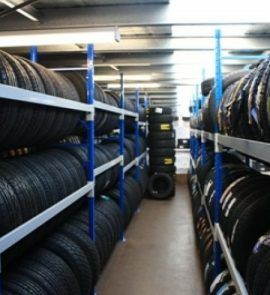 Tyre racking – Makes use of unused vertical space to store a range of tyre sizes and types. Our efficient and cost-effective solutions can be tailored to your specific needs, helping you to increase your storage capabilities while also making identification easy. 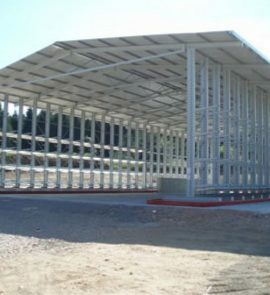 Rack clad warehouse – A storage system where the racks make up the framework of the building. 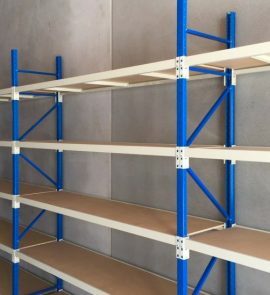 Able to be built up to 30 metres high, a rack clad warehouse is a flexible solution that allows you to make use of the maximum amount of available surface area and storage space. 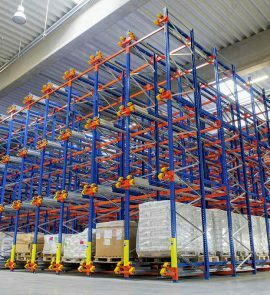 Light duty cantilever racking – A light-duty type of cantilever racking and shelving for long and irregularly shaped items. We offer a wide range of arm and base combinations to ensure you receive a light duty cantilever racking system that suits your individual storage requirements. Long span shelving rack – Available in a range of different configurations, this type of storage makes it easy to store longer length and bulky items. Allowing you to make the most of your available storage space, our long span shelving rack options are ideal for creating an efficient picking system. 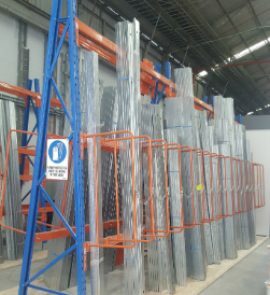 Pallet racking – A storage system where items are stored and distributed on top of wooden pallets. 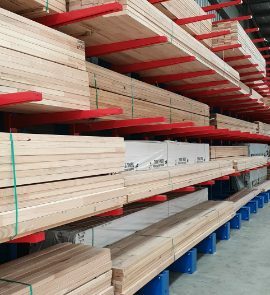 Offering flexibility in sizing options and other configurations, our available pallet racking types include selective systems, drive in pallet racking and carton picking systems. To request more information about any of our available storage products, contact BHD Storage Solutions today.